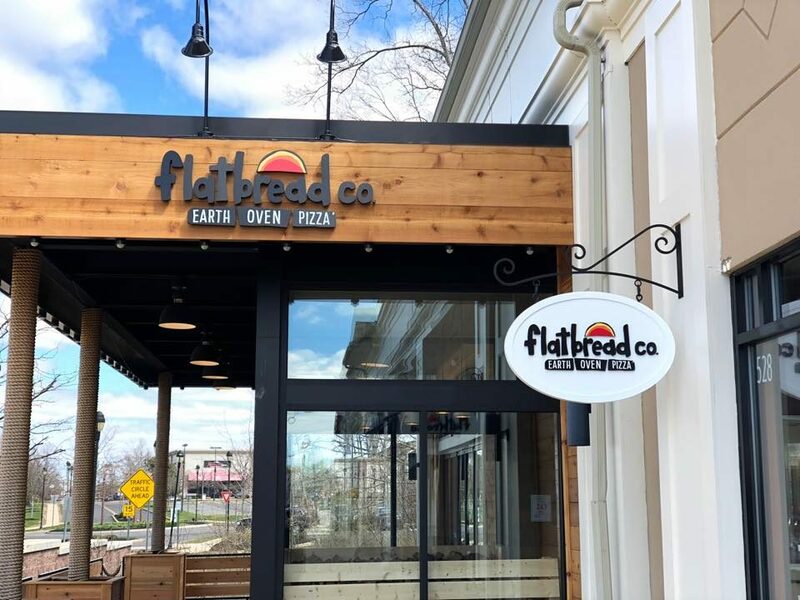 (April 23, 2018; South Windsor, CT)—BLACKLINE Retail Group and POAG Shopping Centers proudly announce the opening of Flatbread Company, a restaurant serving wood-fired pizzas and flatbreads with a focus on using the best quality local and organic products. The official opening was held on Monday, April 23, 2018. The new restaurant is located at 500 Evergreen Way Suite 538. Flatbread Company is open seven days a week, 11AM to 10PM, with live music on Monday nights. Flatbread Company sources its ingredients from local and organic farms of the surrounding community. The dough used for both the pizzas and the flatbreads is made fresh daily from 100% organically grown wheat. Taking pride in their mission to serve both customers and the community, Flatbread Company donates a portion of each flatbread sold to a local, non-profit organization every Tuesday. The lifestyle center offers an outstanding collection of more than 60 coveted national specialty retailers and restaurants in South Windsor, Connecticut, a suburb of Hartford. Providing a pedestrian-friendly environment, The Promenade Shops at Evergreen Walk resembles a traditional New England village.